The prize pool of the event #34 was just $465,750 which is not a huge amount when compared to other WSOP events. 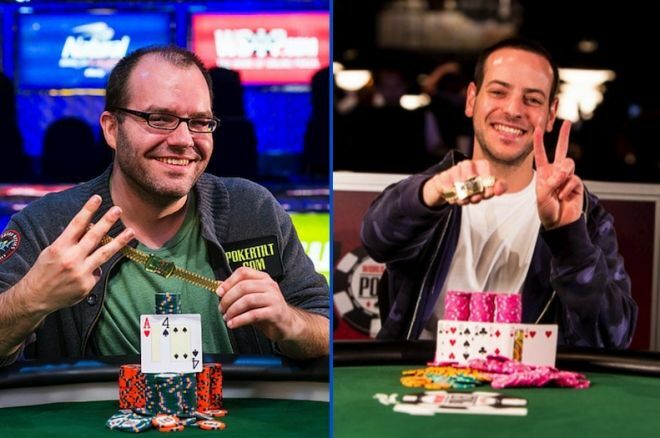 But, Buchman said that he was very thrilled to have won his second bracelet after some time and this gave him more pleasure than winning the prize money. Eric Buchman took home a total of $118,785 after winning the 2014 WSOP event #34. The final day of the event, that is day 3, saw only 6 players competing on the final table. This meant that the day would be a shorter one and soon a winner could be decided. It all boiled down to a contest between two players, Kravchenko and Buchman and Buchman played really win to get a few hands at the start. Kravchenko was not able to get the better of Buchman in the last but one hand and Buchman was able to cripple his opponent’s stack. The final hand was dealt and it just went to four cards. On the fourth card, Kravchenko was all-in. Buchman got a ten on the fifth deal and Kravchenko drew a 5 to get a straight pair and a sevens pair. One the 6th card, Buchman dealt a 6 clavier to get a full house and there was nothing that Kravchenko could do. The Russian finished in the 2nd place and took home $73,360.